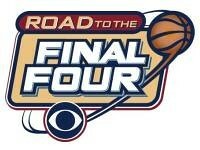 Surprising to no one who has ever met me, I am driving to Houston on Friday after work to go to the Final Four. If you are going too, let's meet up! If you can't get a hold of me, it's because I am at my boyfriend Patrick Patterson's house. If you aren't going, follow along, because Social Media is meeting the Big Dance, right here at A Little Bit of Everything. I will be posting pictures, video, and updates from the road, and I think I got an app that will let me do all of this at once, and then automatically link to Facebook and Twitter. So get ready. It's going to be an awesome ride! I can't wait to see all the pictures! Have a great time!!! BE CAREFUL!! Hey, how did you get your blog to read so nicely on my iPhone? I need to do that to mine. Post vids as often as possible. I will be checking, like, every 15 mins cause I am SO excited for you!! !